When you want to use the PSF you need to extract you MSIX Package, add the PSF files and then you need to put that all back into an MSIX. That’s the time when you need the tool makeappx.exe. 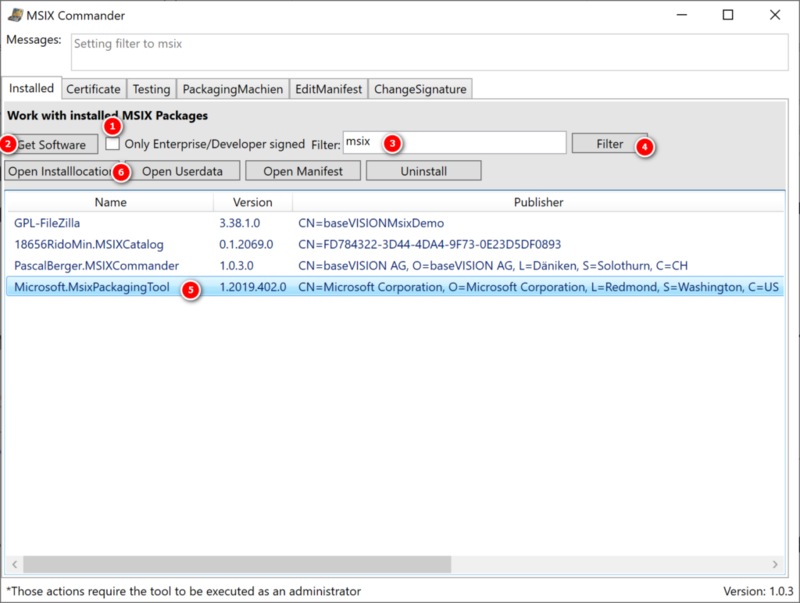 After everything is packaged in your MSIX again you will need to sign it and you will need yet another tool – the signtool.exe. Both these tools are executables and part of the Microsoft SDK. When installing the SDK you have to know what parts you need to install to just get these two small tools. For me that was always pretty flimsy and I ended up installing a lot of other stuff I never needed. So, I found an easier way to get these tools with a lot less hassle. 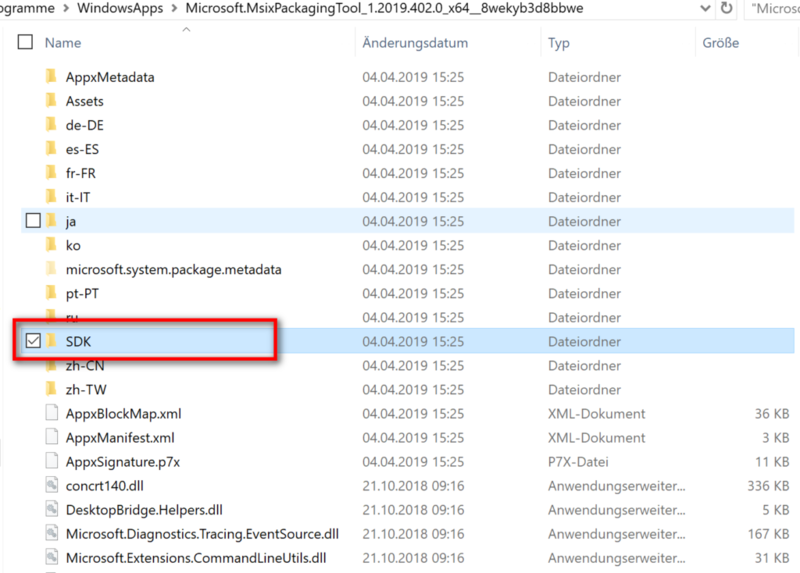 Since you are into MSIX you will also know about the MSIX Packaging Tool from Microsoft that you can easily download from the MS Store. 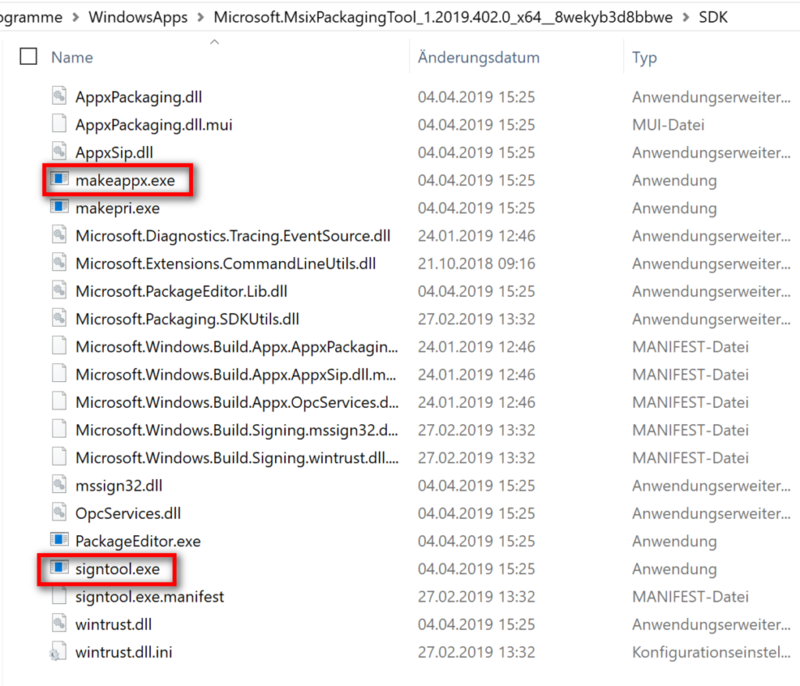 Surprise, surprise, the MSIX Packaging Tool also contains the latest SDK Tools you need for your work with MSIX files. $SelectedPackage = Get-AppxPackage | Where Name -Contains "Microsoft.MsixPackagingTool"
And there you go; all the nice tools from the SDK that you need for your work with MSIX , all in one place. I hope these insights make your life a bit easier, like it did mine.